Last week at ITDevCon in Rome I’ve given a session about using Sencha ExtJS with RAD Server as backend. 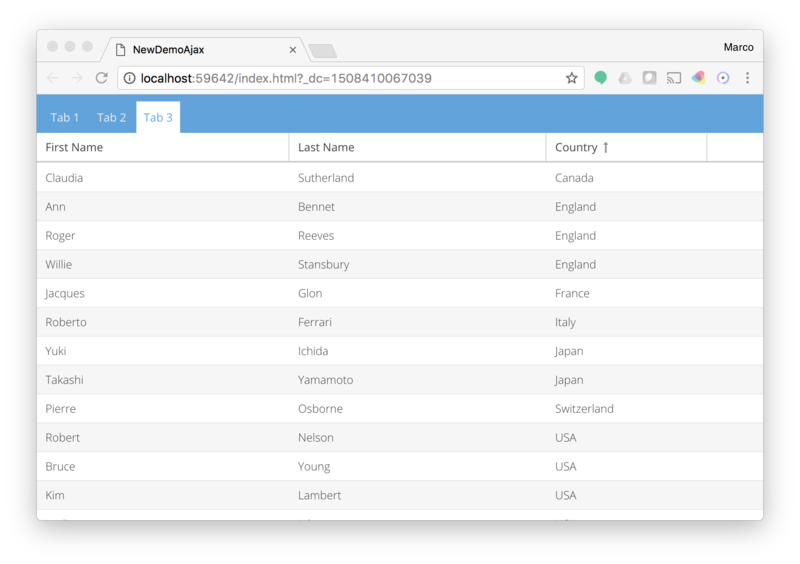 For that session I used AJAX calls, but now I’ve also implemented the JSONP support, which provides an alternative in terms of cross-domains calls in browsers. Idera recently acquired Sencha (https://www.sencha.com/) and has added the company products to the Embarcadero business unit, which produced RAD Studio and also the RAD Server web service technology. A natural question arises on how to use the two products together. 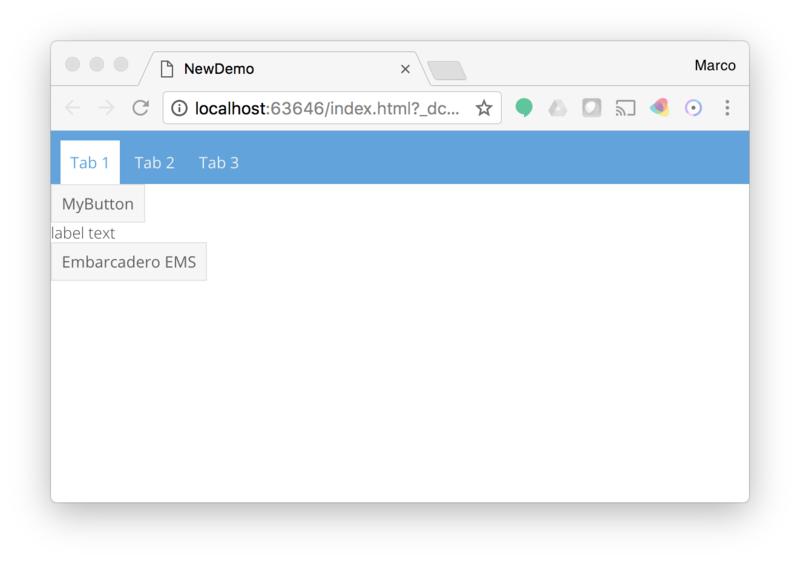 While there are several options, in this blog post I want to highlight the simple and direct integration of RAD Server and FireDAC with an ExtJS client based on Sencha’s data model architecture. 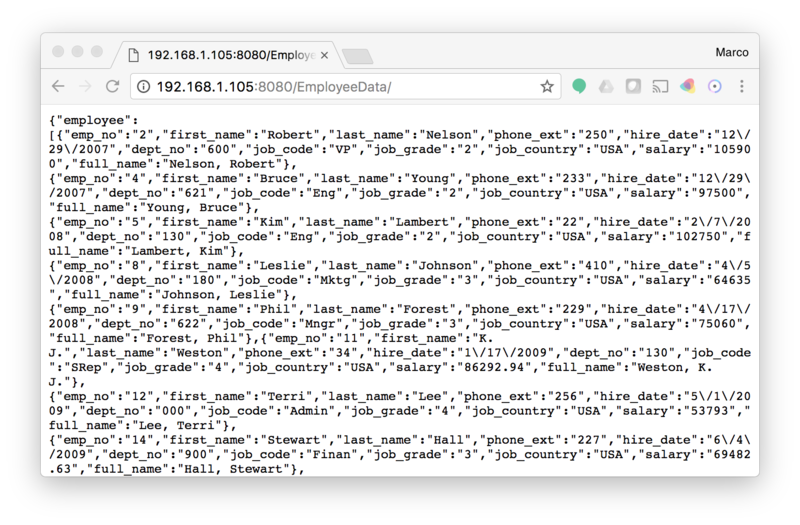 Most of the considerations in this blog post would equally apply to using WebBroker or DataSnap to build the web service.. This is fairly over-permissive, in production you’d want to indicate a specific domain rather than *. With this setting and possibly even some proxy configuration in your web server, you can handle the cross-domain resource access. The alternative options (a little older and considered less secure) is to implement a JSONP server. You can read the documentation here: http://docs.sencha.com/extjs/6.5.2/modern/src/JsonP.js-1.html. 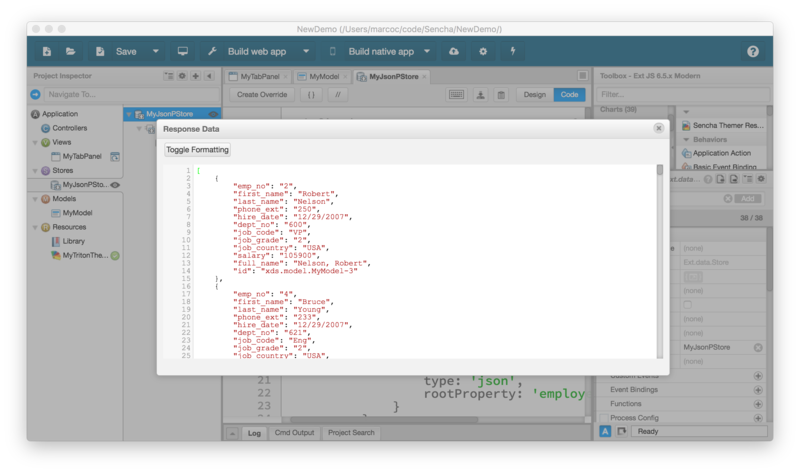 In summary the data flow is: InterBase database, FireDAC connection and SQL query, REST server method with custom JSON processing, ExtJS data storage, ExtJS grid for the UI. And something you can put together in 15 minutes! 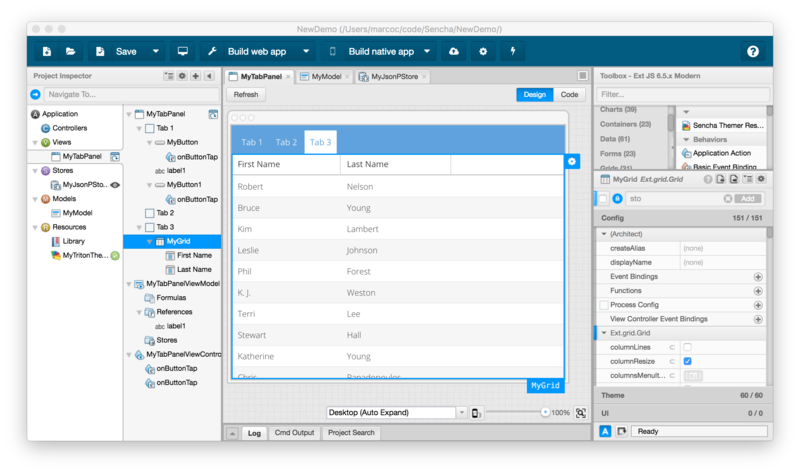 While there are several different options on the table for using ExtJS and RAD Studio web services together, and more will be made available by Embarcadero in the future to further simplify the process, as you can see accessing to data produced by a Delphi application from an ExtJS client is reasonably simple.